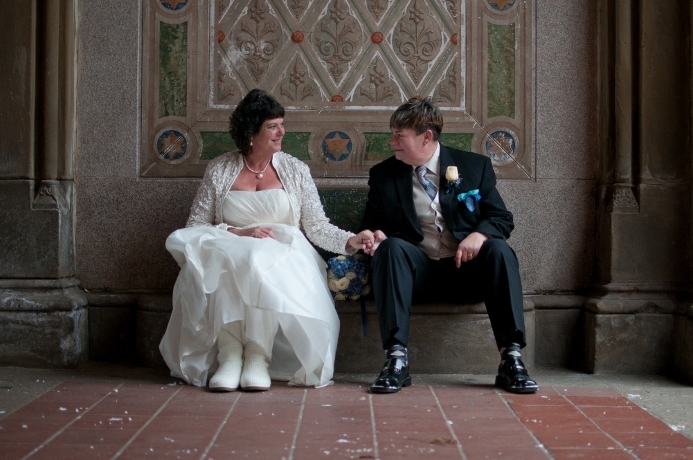 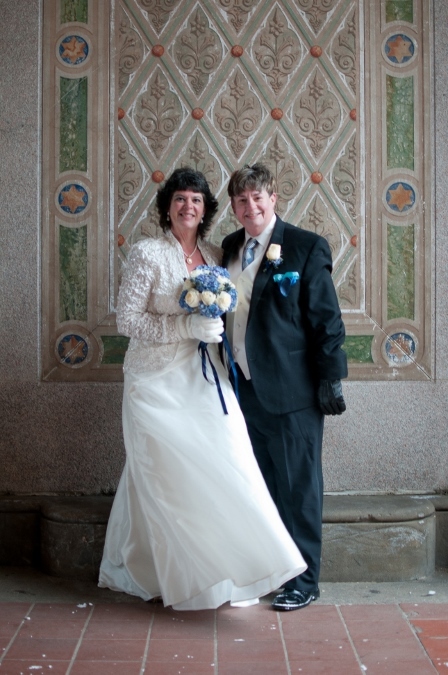 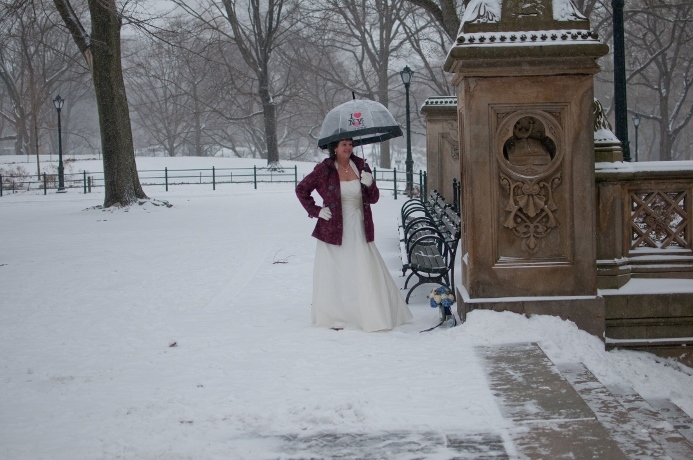 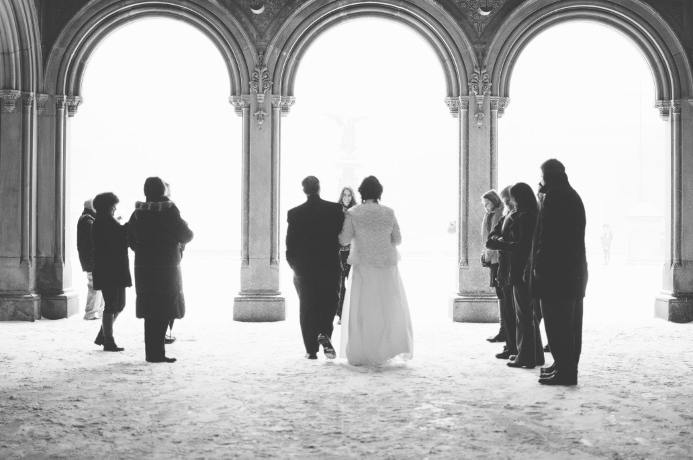 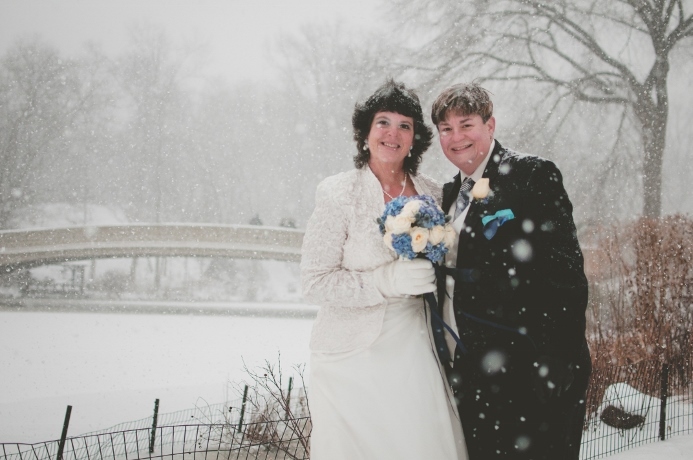 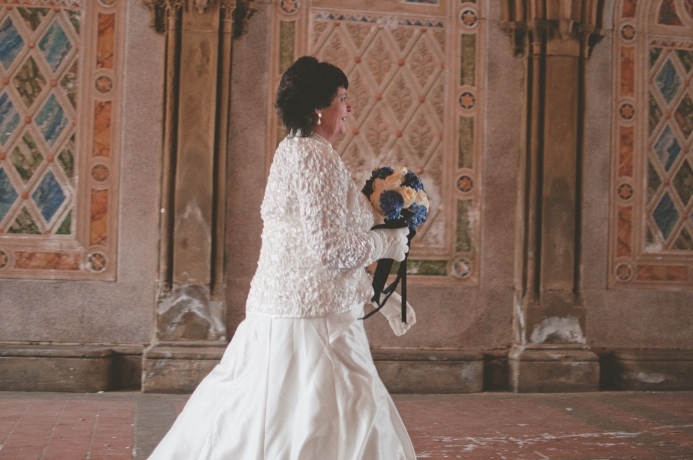 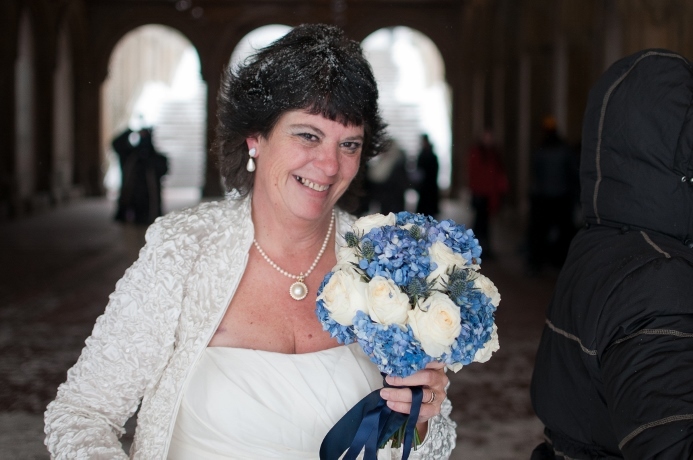 To celebrate their 20th anniversary together, Tammy and Teri traveled from Louisiana to have their winter wedding in Central Park. 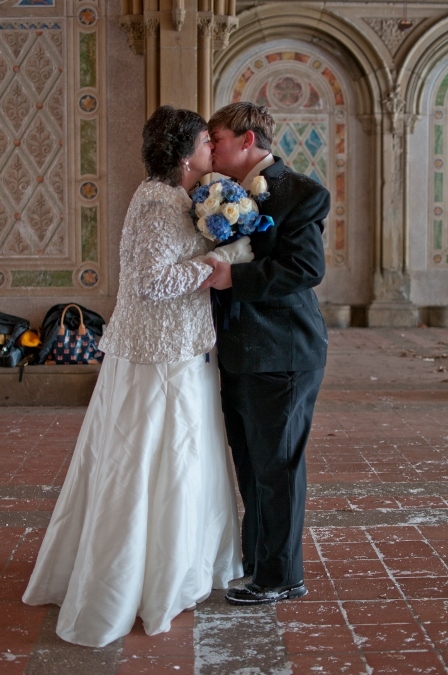 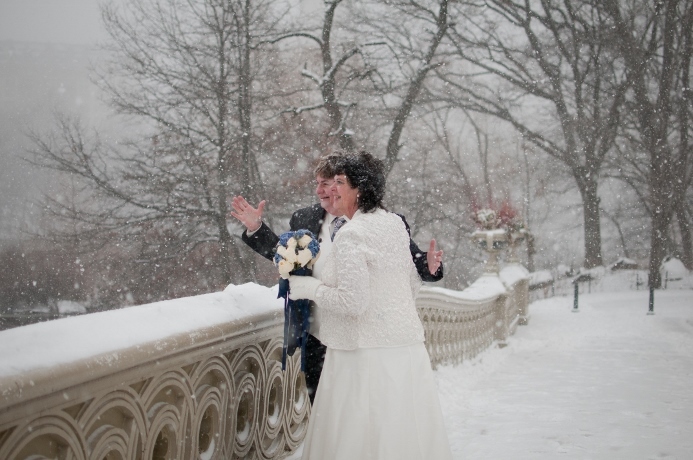 We planned an intimate ceremony on Bow Bridge, which spans over the Lake. 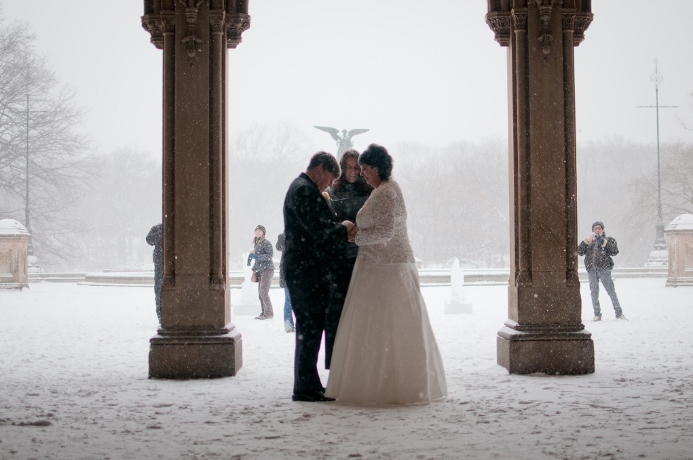 When a light snow in the forecast turned into a winter storm, we moved the ceremony under the covered arches at Bethesda Fountain Terrace, with the Angel of the Waters fountain as a backdrop. 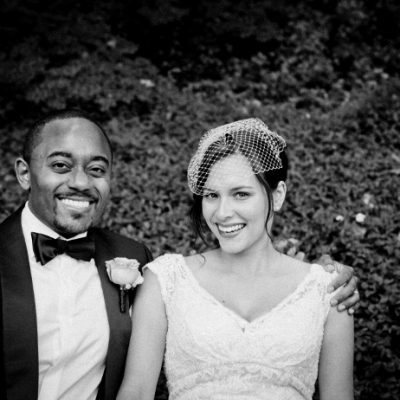 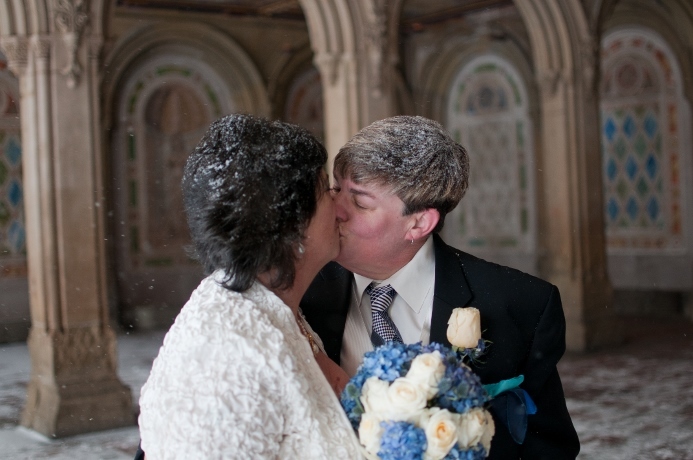 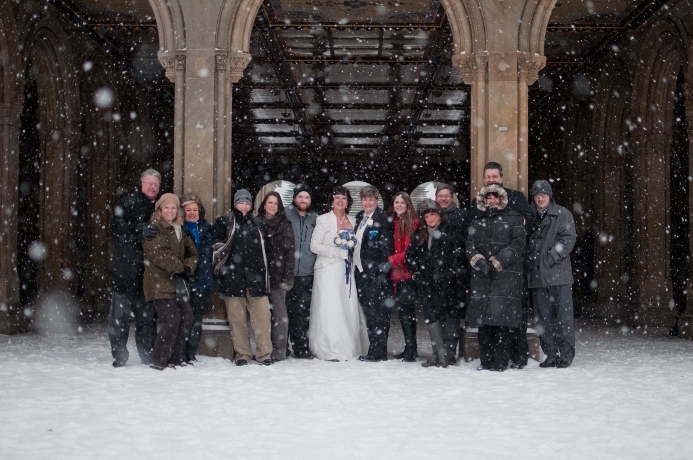 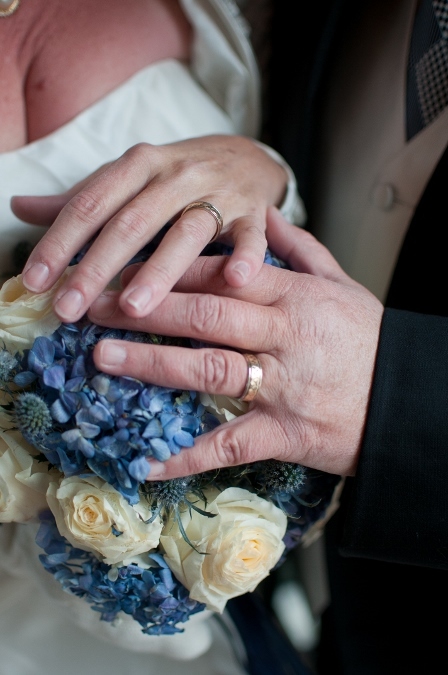 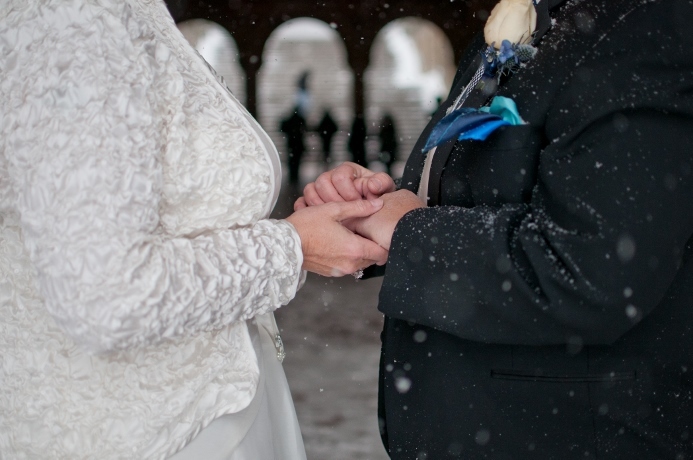 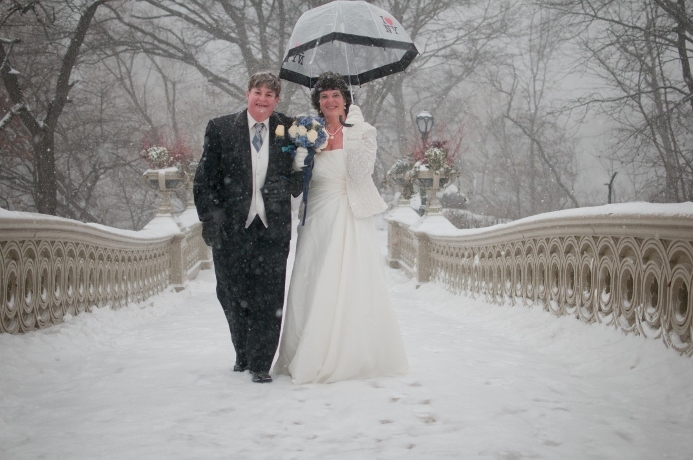 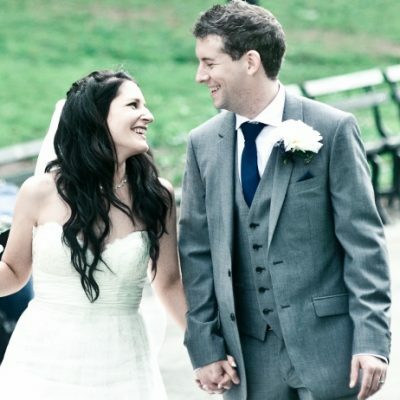 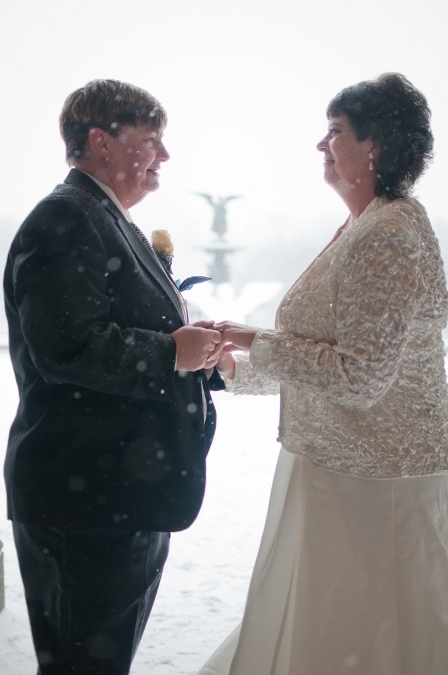 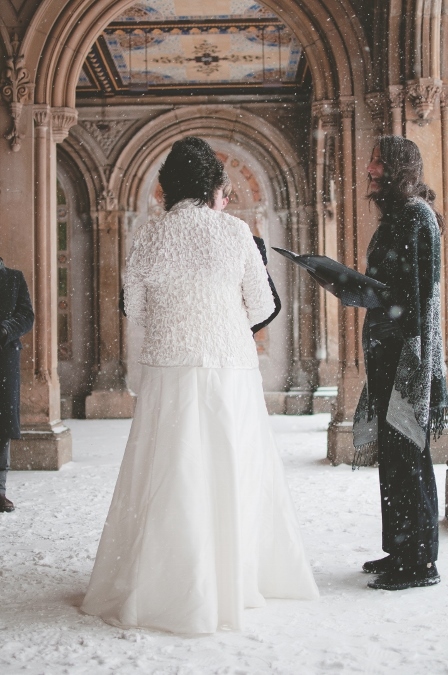 The snow blanketed the park and made for a memorable wedding with beautiful photos! 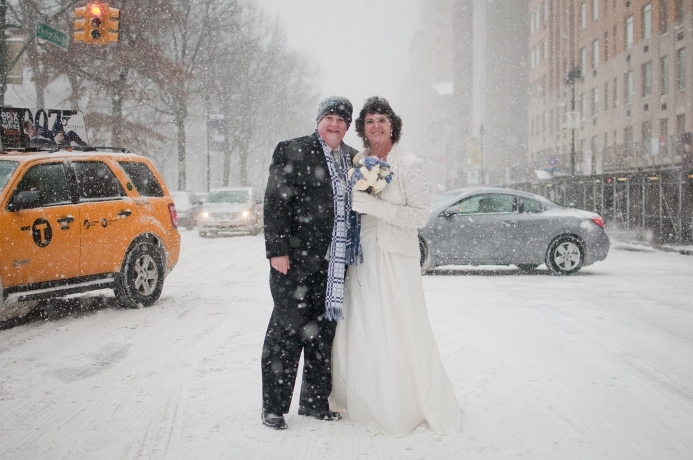 Afterwards, the couple celebrated with friends and family at Junior’s in Times Square. 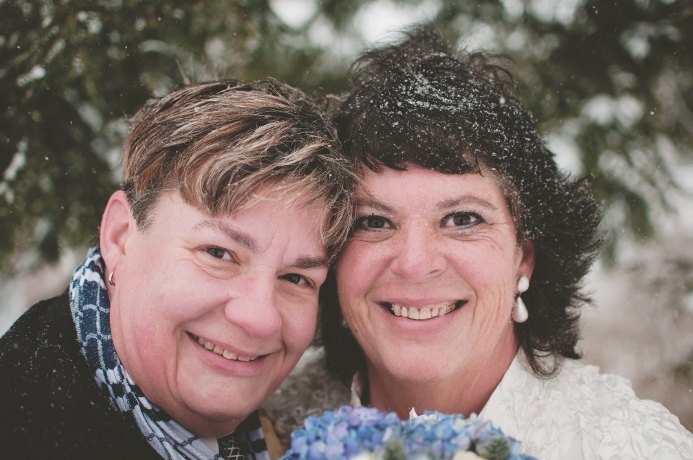 Congratulations, Tammy and Teri! 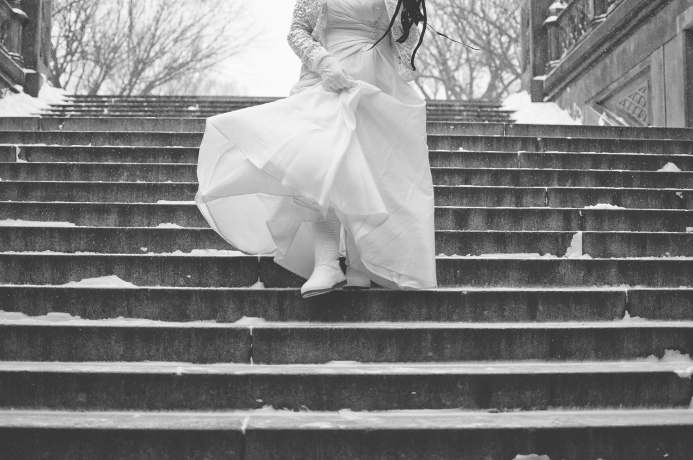 Photography by Le Image, Inc.